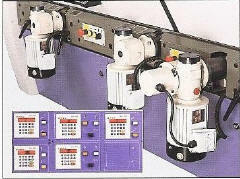 This machine is ideally suited for the architectural millwork and S4S and flooring operations. 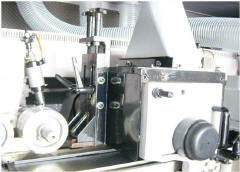 It is equipped with many extras for all types of manufacturing. 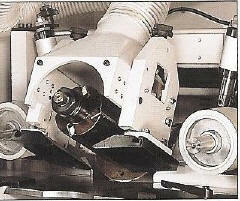 Such as, 2nd horizontal spindle that has a 9 1/4" cutting circle for heavy duty crown and stair rail. 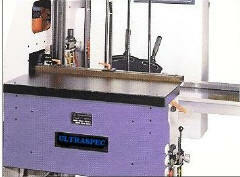 Capacities range from 6x9 all the way up, please call for additional specs.. 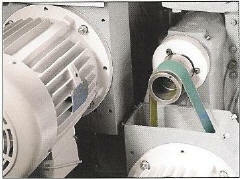 Fully eliminates unsmooth problems when feeding short or narrow stock. 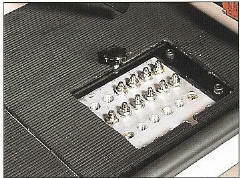 The pressure plate is easy to adjust. 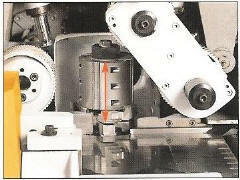 The motor is mounted separately from the spindle, which eliminates spindle vibration. 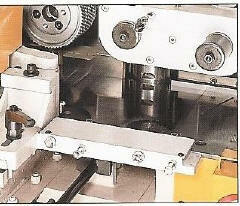 Working Width 10-230mm / 3/4-9"
Spindle Diameter 40mm / 1" 13/16"
Tool Cutting Circle, Horizontal Spindles, Top 100-200mm / 4"-8"
Tool Cutting Circle, 2nd Horizontal Spindle, Top 100-235 / 4-9 1/4"
Tool Cutting Circle, Horizontal Spindles, Bottom 100-200mm / 4"-8"
Tool Cutting Circle, 2nd Horizontal Spindles, Bottom 100-250mm / 4-10"
Oversize cutting circle on the 2nd top horizontal spindle giving a cutter clearance of 9 1/4"